Little dogs are just as difficult to train as large ones but with this pose pack you'll have them sitting up or offering their paw with ease. The download is below the last picture. 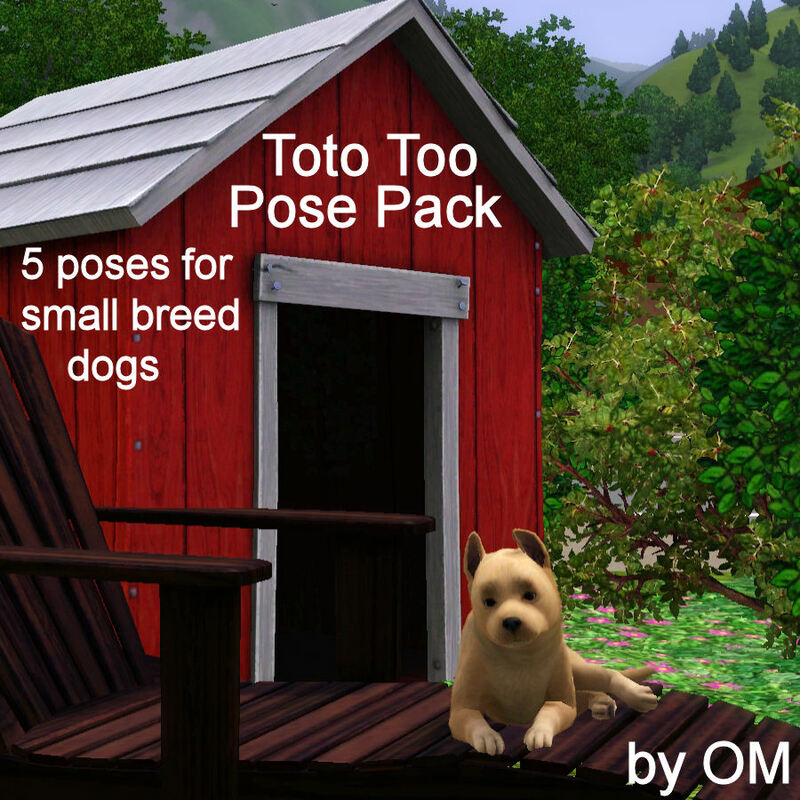 The download contains five poses for small breed dogs and it has a pose list included. To use the poses just install them as you would install poses for Sims. 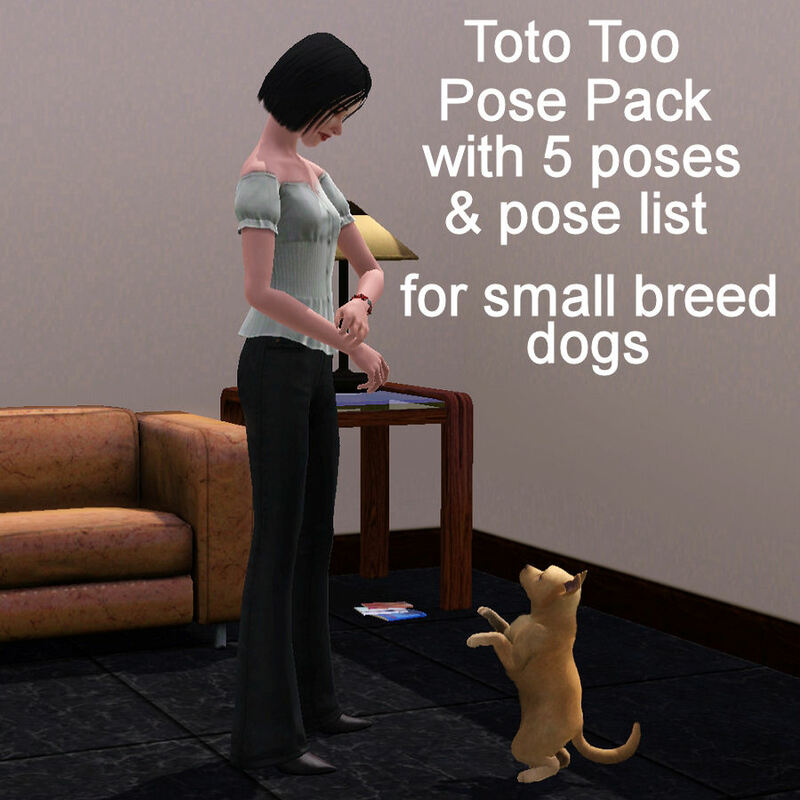 In the game have your small dog select the Pose Player and then pick the pose you want from the pose list. 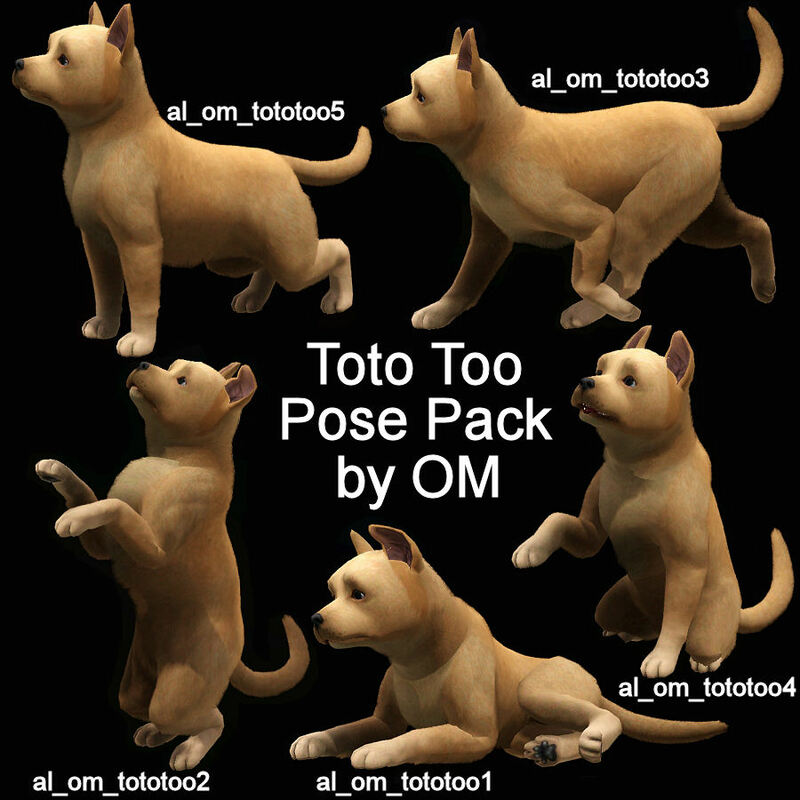 This picture shows all the poses in the game and the pose name for those who would rather not use the pose list.